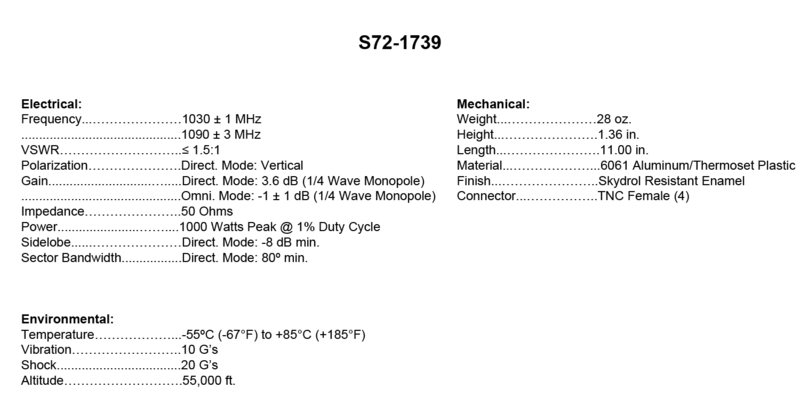 S72-1739: Traffic Collision Avoidance System II (TCAS II) antenna. It is a low-profile antenna with a teardrop radome and leading edge shield. The antenna is DC grounded. It features a directional four element array. 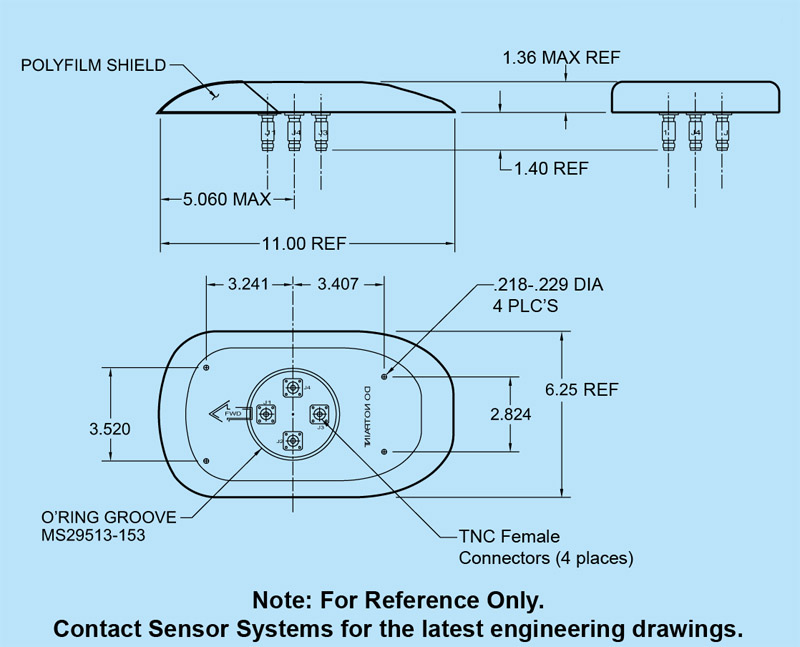 Compatible with the Honeywell TCAS systems. 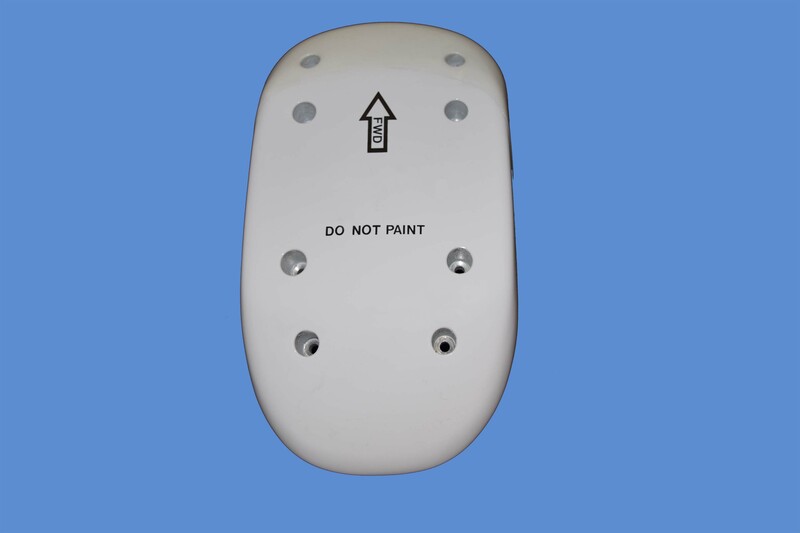 The antenna features Airbus’s standard 8-hole bolt pattern and 110 inch baseplate radius.